Struggling to get the perfect holiday pics of your little ones? 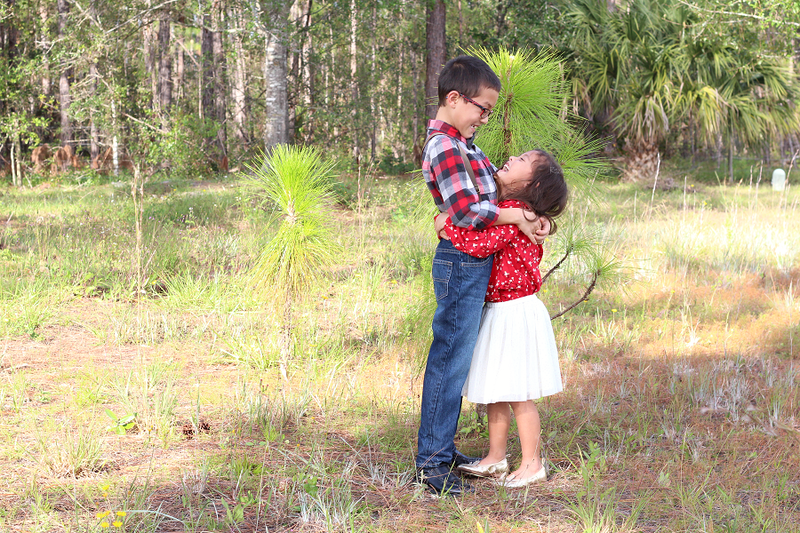 Here’s 6 Tips to Take Better Christmas Photos of Your Kids + exclusive Oshkosh coupon savings. This post is sponsored by Everywhere Agency on behalf of OshKosh B’gosh; however, all festive thoughts and opinions expressed are my own. Don’t rush to get a fresh cut tree. Don’t stress over taking down the 30 Christmas boxes. 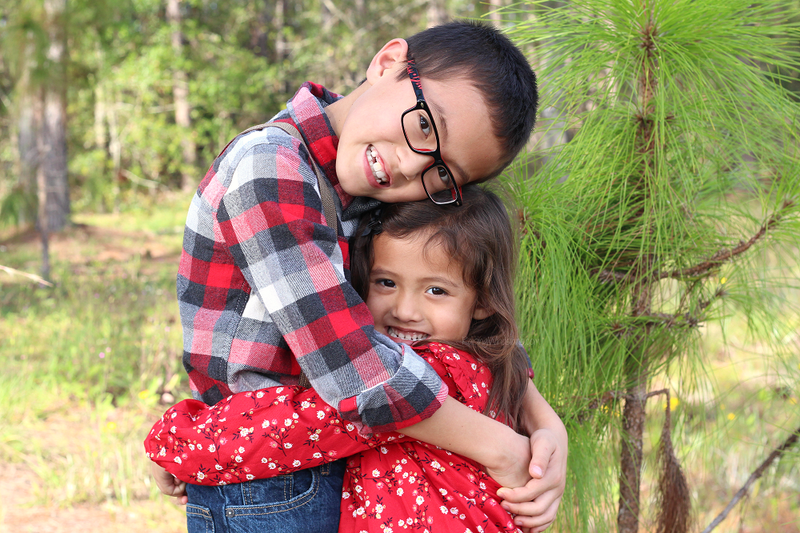 Instead, opt for outdoor photos of your kids. 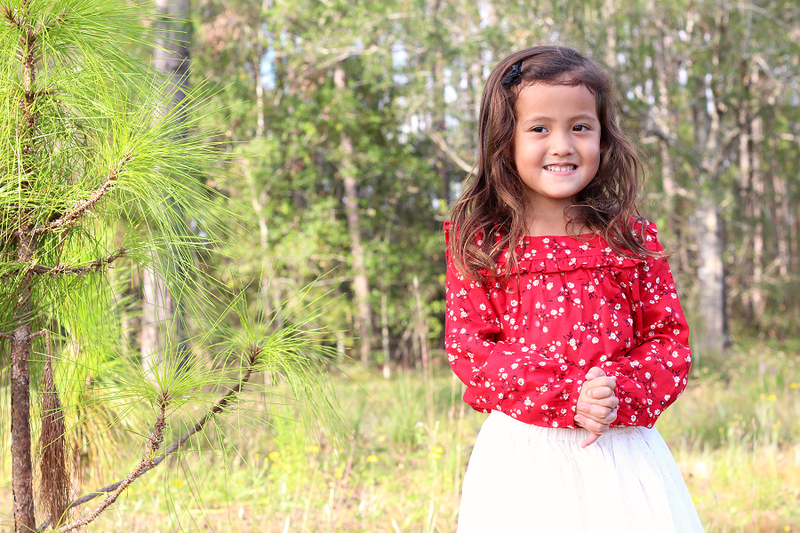 Nature provides perfect and simple backdrops to take photos. I tend to gravitate towards wooded areas with Charlie Brown Christmas trees. Lighting can make the different between perfect photos and odd fake-tan induced alien looking children. When in doubt, go for natural light. If you can’t get your photos during that “sweet” spot time (and hour before sunset), look for shade during daylight hours. Try to avoid direct bright sun whenever possible. Capturing those balls of energy during those fleeting moments can be absolutely exhausting! Your best bet for capturing professional quality photos is to adjust your camera settings to match your on-the-go kids. For my DSLR camera, I always adjust my shutter speed first. A set my speed to at least 1/320 and as high as 1/1000 for those darling princess twirls. From the shutter speed, I’ll adjust my ISO and F-stop accordingly to my desired photo look. No DSLR? No problem! Use your phone camera and hold down the button to capture those quick burst shots of smiles. Taking pictures of your own kids can get frustrating, especially when their behavior is unpredictable. The biggest tip I have is to go with the flow. I usually start with easy poses and move into full-on silliness by the end of the shoot. Keep things light, changing and most importantly FUN! Encourage, play and allow your kids’ true personalities shine through. We love to have dance and shake breaks in between photos to keep things entertaining. It’s all about matching outfits when it comes to perfect Christmas pictures. I fall hard for an adorable holiday style pairing! Look for great color coordination (think matching reds, greens, whites, and golds) and patterns that aren’t too loud and that won’t clash with other patterns. 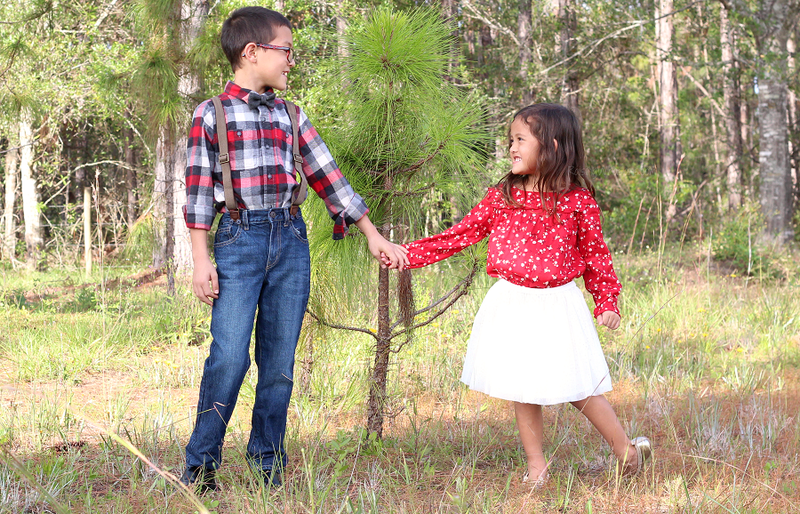 This year’s holiday fashion inspiration is from one of our favorite stores, OshKosh B’gosh. 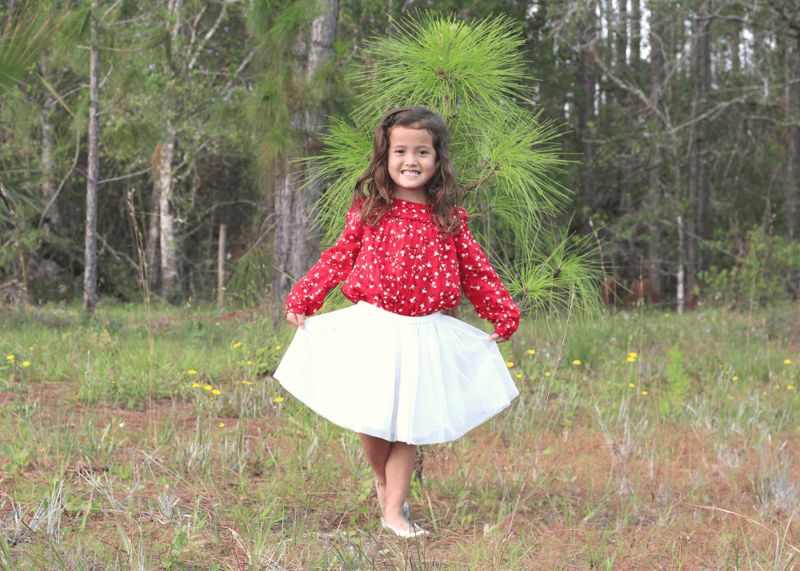 With lots of high quality and affordable items from their classic jeans to their trendy skirts, I love getting the most bang for my buck for my growing kids. Grab your exclusive OshKosh Coupon now for even better holiday savings! I love when you get the 20% off $40 purchase coupon – that’s one of my favorites. 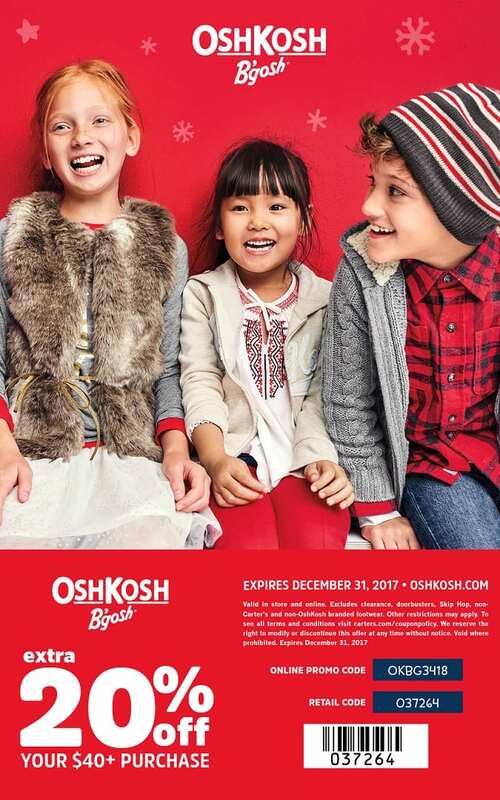 Print now and use in-store code: 037264 or head over to oshkosh.com and use online coupon code: OKBG3418 between now and 12/31/17 for a sweet deal on your kids best holiday styles! Want to get into the holiday spirit even more? 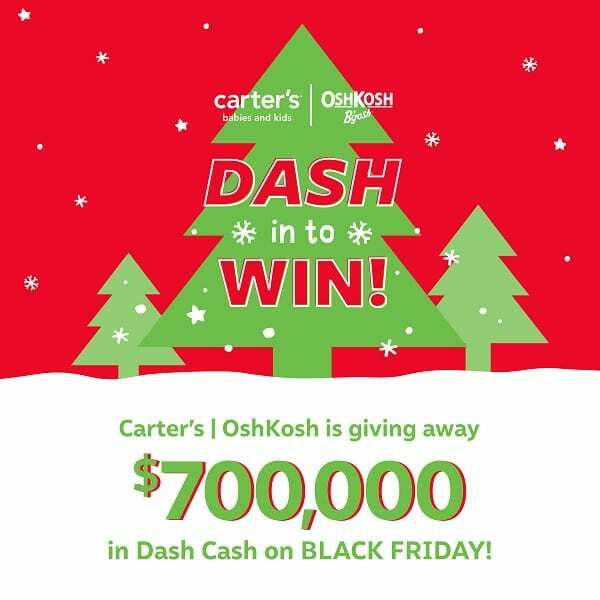 Then get ready to Dash in to Win at your local OshKosh B’gosh store! On 11/23 (or 11/24 if your local store is closed on 11/23), the first 100 people at any OshKosh B’gosh store will receive a gift card – worth up to $100! Plus you can use your coupon above for even more savings! Check your local store listings for dates and hours. Be sure to head into your local OshKosh B’gosh store this holiday season to make sure your kids look amazing for your Christmas pictures this year! 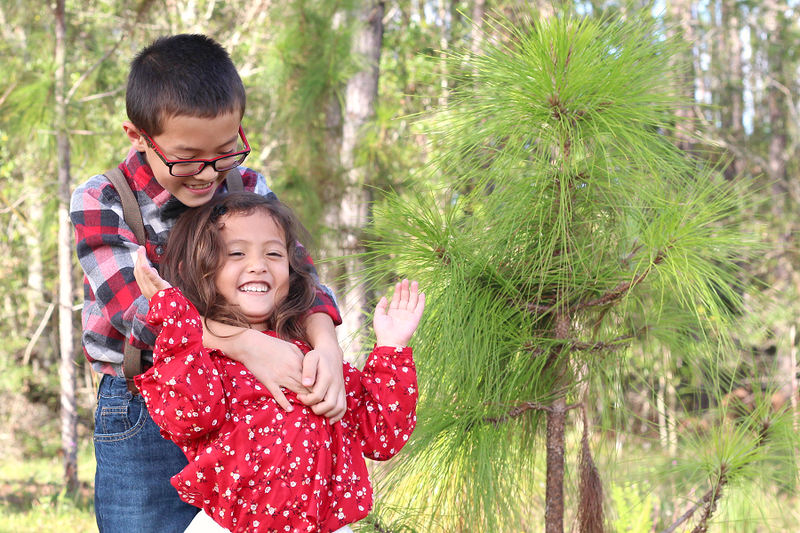 Hopefully these quick tips to take better Christmas photos of your kids is helpful as we get ready for a super fun and super busy holiday season! Disclosure: Giveaway sponsored by OshKosh B’gosh. 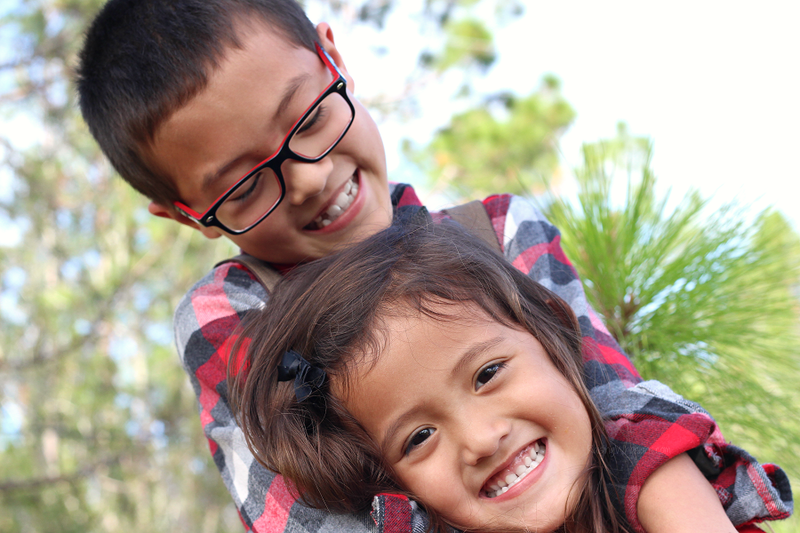 Raising Whasians is responsible for prize fulfillment. One winner will be randomly selected using the Rafflecopter random selector and will be notified via email. Once notified, the winner will have 24 hours to respond or a new winner will be chosen. This giveaway is in no way associated with Facebook, Twitter, Instagram, Pinterest or Google. Void where prohibited. This disclosure is made in accordance with the FTC 10 CFR, Part 255 Guides Concerning the Use of Endorsements. Be sure to follow Raising Whasians via Facebook, Twitter, Google, Instagram, Pinterest and YouTube for more of your favorite giveaways! I like the boys poplin shirts and sweaters. I like the girls sparkle tulle dresses. I like the boys sweaters and thermals. I love the Button-Front Buffalo Check Flannel Bodysuit. I like the fleece lined leggings for the colder weather. My daughter doesnt like to wear jeans. We also love the tulle skirts and sweater dresses. There are some really cute metallic boots too. Love the Shawl Collar Cardigan for toddler boy. Great for Christmas to pair up with pants and a nice dress shirt. I love the gold glitter star dress! The light grey cable knit sweater is so cute! I would LOVE to win this for a friend who has a gorgeous little girl and is going through a rough time. I’m loving the shawl collar cardigan. I like the boys shirts and sweaters. I like the Tiered Sparkle Tulle Dress and the Cozy Unicorn Sweater among others. I love Mix Kit Fair Isle Leggings. I love the faux fur vest. I love the Drop Seat Union Suit! It’s PERFECT for Christmas! I really love the Plain Penguin – 2-Piece Bodysuit & Plaid Dress Set. I would be perfect for our little girl to wear when visiting grandma and grandpa for Christmas. I like the girls dresses and leggings. I like the plaid shirts or bodysuits with overalls. 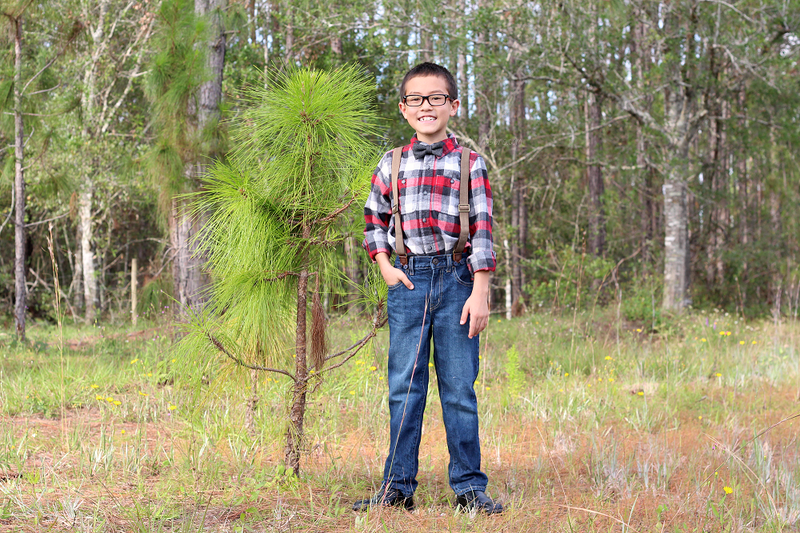 I would like to buy my grandson a red plaid shirt and a pair of jean. Classic and comfy and adorable. Quilted Jacket too though!! Gah! In actuality I love everything lol!! Im an addict! I really like the 2-Piece Dancing Shoes Pajamas! My granddaughter would definitely like those. She takes Ballet, and she LOVES wearing her P.J.’s. haha Happy Holidays everyone! I am in love with the BUFFALO CHECK SWEATER JACKET but the overalls are always my favorite! I love the toddler denim overalls with the Button front buffalo check bodysuit, it’s so cute and it looks just warm enough for our southern state weather. I’m loving the plaid tunics!! I am in love with the sparkle tulle skirts! My daughter would love twirling around in those.The cozy heart sweater is also super cute. I love all of the holiday pieces! I would love to get a pair of their really cute overalls for my daughter! I love the cable knit poncho and I love all their leggings. I’m loving the boys’ thermal Henley shirts and the jersey lined jogger pants! I love the baby bodysuits such as the Floral sparkle bodysuit. My niece would look adorable in the Sequin Embellished Dress. I love the Fleece joggers. I also like the toggle coat and the buckle boots. I love the gold glitter star dress!! the flannel shirts are my favorite. The lace dress is my favorite. I love the Tiered Sparkle Tulle Dress for my granddaughter. I love their boys jeans for $11.95! I love their cute graphic tees for girls and the sparkly leggings. I love anything that is matchy-matchy! I am loving that I can shop for my 1st grandbaby. I like the Rosette Peplum Top in ivory. I like the boys “Saucony Ride Sneaker”. I like the sweaters and the fleece cozies! I like the hoodies. The sherpa-lined hoods look warm. I really like the fur trim coats! I really like the Sparkle Tulle Skirt and the Sparkle Sweater! I really like the Embellished Varsity Tee and the Sparkle Tulle Dress. Thanks. I like the Sparkle Tulle dress. I like the Sherpa Collar Coat. I like the holiday graphic tees. The little boys sweaters are too cute! I have 2 boys and not everywhere seems to have a ton of super cute boys stuff but these are too cute! I really like the Plaid Flannel Sweater Dress for girls! I love the outerwear available from Oshkosh! The lined corduroy overalls are so cute it hurts! I’m loving the denim overalls. They’re so classic and so adorable! My absolute favorite! We love their boy’s sweaters! I love the Sequin Embellished Dress and their pajamas are really cute too! I really like the Faux Fur Poncho. I can’t believe how big your kids are getting! I love the B’gosh Be You Bodysuits for baby boys! I like the striped thermal henleys. I’ve always loved their jeans!! I like the most likely to be on the nice list graphic tee. I like the doorbuster $5 graphic tees. They would be great for my boys to wear to school. I like their Hooded Logo One Piece suits. I like the girls long sleeve tees and leggings. I love the girls Star Chambray Dress! Cozy Unicorn Sweater, my daughter is obsessed with unicorns!! I’m loving their tunic tops! Thank you for the chance! I absolutely love their cardigans and overalls. They look so cute on little boys. I love the Penguin Jersey Tee! So cute! 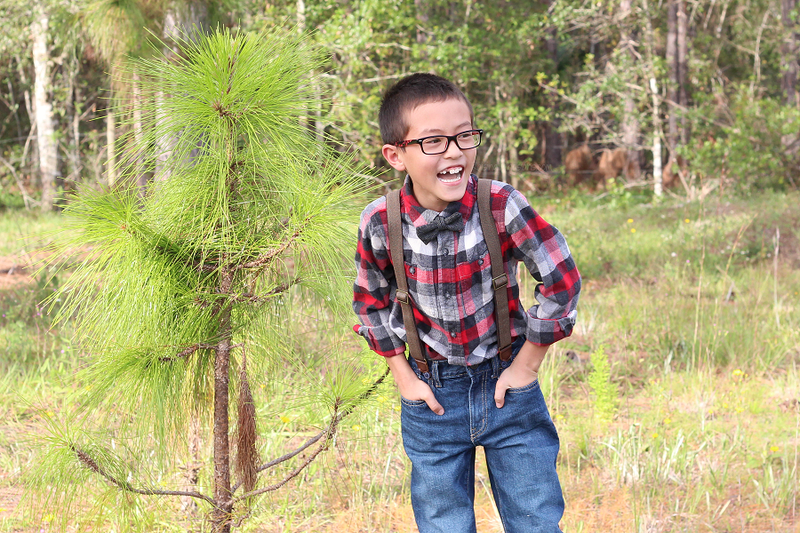 I love the boys suspender jeans! The gold glitter dress is adorable! I like the girls long sleeves graphic tees for boys and the girls. That’s a great price. I’d love some cozy fleece pjs for my daughters and also jeggings! Love their jeans for our whole family!! I love the different tunics and cardigan styles! I love the overalls, I think they’re adorable and they’re unisex. I really like the logo hoodies for my niece. An OshKosh shopping spree would be a lot of fun! The OshKosh Floral Mary Jane Crib Shoes. They are adorable… and on sale! The Sherpa-Lined Jacket is adorable. I love the Mix-Kit Snowflake Tunic. It has that holiday vibe, but will match well with so many of the leggings and even jeans. I love all of their graphic tees! I especially like the girl’s graphic tees. I liked the OshKosh Braided Boots for my niece. love the button front plaid flannel bodysuit! Active pants are perfect for this cold weather. All the plaid is great, and the sparkle tulle dress is cute! I like the long-sleeved graphic tees for boys. I like the girls mix kit floral tunic, so cute. I would pair the girls Snowflake Tunic with the Gold Dot Leggings. I love all the graphic t-shirts! 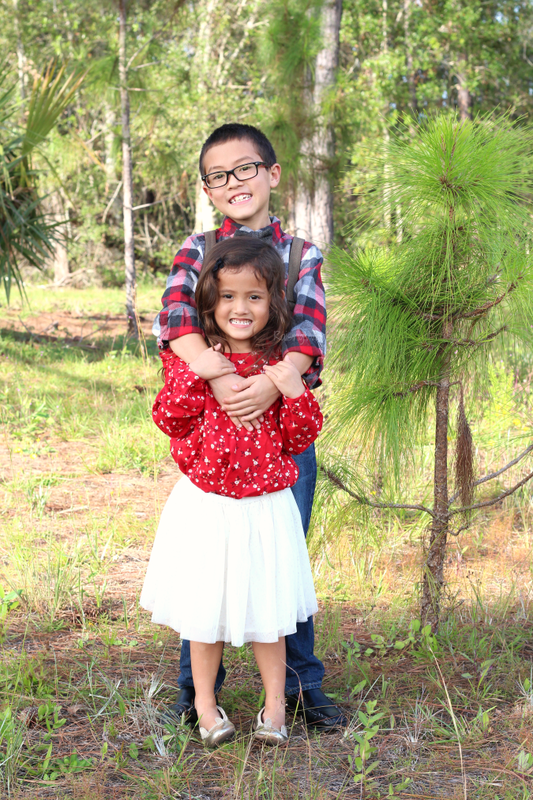 My kiddos always look great in them! The B’gosh Fleece Cozy would make a nice gift. I love the girls dresses. I just love that Shawl Collar Cardigan the most of all the fine styles available. I would love to get the More Hugs bodysuit and Varsity Cat Tee for my niece.